Can't go wrong with black forest and even better? this is a dessert you can eat for breakfast! Chocolate oat cake with a sweet cherry/vanilla filling then topped off with cacao nibs and more cherries! Combine ingredients then Cut your cake in half and fill with half of your filling. 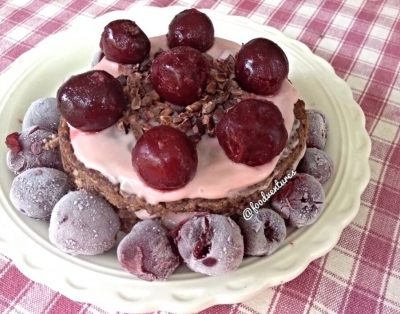 With the rest of the filling, layer on top of your cake and top off with your handful of cherries.